It's SPRING! Time for Sales! Garage Sale: Starts April 16! Ends: May 25 - 50% and more off marked items. Sample yarns from various yarn reps for sale! 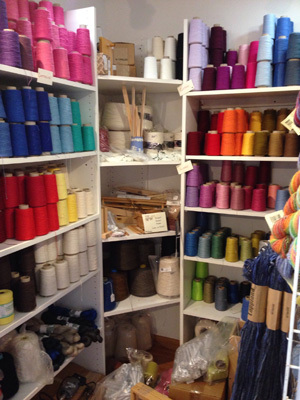 Sock Yarns: Throughout April! All 30% off! Garage: at least 50% off! Sign up for our Spring Workshops! Please let me know if you have questions about any of the above! Email: thefold@mc.net.... Phone: 815-568-5730.